Human Rights Commission (HRCM) Vice President Ahmed Tholal has called for an immediate state response to reports of a series of vigilante attacks in the capital over recent days. “The concern to me is that there needs to be a state response to state very clearly that we cannot just start labelling people un-Islamic as it’s a very dangerous thing,” said Tholal. After multiple accounts of the abductions and assault of individuals perceived to be supportive of atheism or homosexuality, the HRCM plans to meet with state representatives in order to determine the cause for these events. After reports that senior government members met with citizens concerned about the harassment of Islam in the days before the attacks – some of whom have subsequently been linked with the abductions – Minivan News has been unable to obtain a response from the relevant authorities on this issue. The vigilante group was believed to have been attempting to identify members of online secularist groups – some of which had repeatedly featured content defaming and mocking the prophet. Tholal noted that the incidents had raised issues regarding freedom of expression but also the responsibility inherent in the enjoyment of that freedom – noting that the state should take action against criminal activity. Article 27 of the Maldives constitution grants the right to freedom of expression in a manner that is not contrary to any tenet of Islam. Police began investigations into anti-Islamic comment posted on the ‘Maldives Atheists’ Facebook page in March this year, although no arrests have as yet been made. Expressing his fear that Maldivian society was becoming less tolerant of diverse opinion, Tholal noted that people’s freedom of expression must be based on understanding rather than intimidation. “Reinterpretations should be based, not on fear, but on an understanding that there are things you cannot say as they might hurt people or be hateful or incite violence,” he said. Ismail Hilath Rasheed, a self-exiled blogger who was subjected to multiple attacks as a result of his outspoken calls for freedom of expression has also suggested greater tolerance is needed across Maldivian society. “This is where we need to build bridges – a bridge to gap the gulf between moderates and extremists on all sides,” said the former journalist. Hilath has suggested that many Maldivians – including himself – were now refraining from expressing themselves due to the current climate of fear. “With the liberal community now opting to refrain from exercising their right to free expression, the Maldives as a culture and society will plunge into an abyss unless the powers that be give them the courage to come out and contribute to society’s collective creativity, and express free expression without fear,” he said. A landmark ‘Threat Analysis Report’ by the Maldives Broadcasting Commission earlier this year found 84 percent of journalists surveyed had been threatened at least once, with 27 percent noting a reluctance to cover certain topics. Journalists identified political parties to be the top source of threat, while gangs and religious extremists – both alleged to have been involved in recent attacks – were next on the list. Other than coverage of a Maldivian Democratic Party press release expressing concern over the incidents, local media has not reported on the succession of attacks. Human Rights Commission of Maldives (HRCM) member Ahmed Tholal – currently acting chair or president – has told local media that the commission had complete confidence in the Elections Commission’s (EC’s) ability to conduct the upcoming presidential election freely, fairly and in a transparent manner. The remarks come after the HRCM issued a press release on Thursday (October 10) stating that a letter has been sent to the EC concerning alleged “discrimination” in taking measures against political parties for illegal activities. “As the Elections Commission is an independent state institution, [the HRCM] urged [the EC] to not discriminate among political parties and treat all parties equally when issuing warnings and taking measures concerning an illegal activity,” the press release stated. While Tholal declined to comment about the HRCM’s letter, newspaper Haveeru reported that the letter was sent by commission member Ahmed Abdul Kareem without the knowledge of the other members. HRCM regulations require that such decisions are made with the participation or vote of all members. “We noted in our report after the election that it was conducted well. So we have that confidence this time as well. HRCM is ready to provide cooperation required by the Elections Commission at this stage,” Tholal was quoted as saying. He added that the HRCM did not have any concerns or dissatisfaction with the EC. Speaking at a press conference on Friday (October 11), EC Chair Fuwad Thowfeek said two members of the HRCM contacted him, apologised and explained that the press statement was issued by just one member without the knowledge of the rest. “The two members have said they condemn the act as it was done without their knowledge,” Thowfeek said. He added that HRCM Chair Mariyam Azra was currently out of the country as well. “So we don’t find it easy to accept what just one member said because two members have informed me that it wasn’t a decision made by the Human Rights Commission,” Thowfeek said. The two HRCM members told Thowfeek that they were “ashamed” because of the sole member’s personal antagonism. Kareem has however denied the allegation that the letter was sent without the knowledge of the other members, claiming that the decision was made following consultation among the five members regarding a number of complaints against the EC. While the letter was signed by Kareem alone, he claimed that the decision to send it was approved by a majority of the commission. The recently dismissed Director General of the Elections Commission (EC), Ahmed Tholal, has alleged that his removal is related to his participation in a strike earlier this year which had questioned the impartiality of certain commission members. Following his dismissal Tholal took to Twitter, suggesting that his dismissal was politically motivated. “The reason for my dismissal is to retaliate because we protested, and also because votes cannot be rigged at 2013 Elections if we are there,” he tweeted. “I am President of the Athletics Association – that is not a job, that is a social responsibility,” he added. Tholal explained that he had been on the executive committee of the Athletics Association since 2004 and had been promoted to chair of the committee in July this year. The strike in question, which included 45 EC employees, demanded better remuneration for staff as well as the resignation of three of the five members of the commission who were accused of acting with bias and in violation of EC regulations. He noted that the three commissioners in question – Mohamed Farooq, Ali Mohamed Manik and Ogaru Ibrahim Waheed – were still on the commission. Tholal also pointed out that other staff members who had taken part in the protest had faced repercussions. He noted that a fellow Director General had been demoted and the Human Resources Director dismissed. “I will fight for my rights,” said Tholal. The right to strike is protected by Article 31 of the Maldivian constitution. Secretary General of Elections Commission, Asim Abdul Sattar, denied that Tholal’s dismissal was politically motivated, arguing that Tholal had acted against the rules of the commission. “It is against the rules of the commission to have any other job, whether paid or not, it is a conflict of interest,” said Sattar. Sattar also said that the March strike had mainly been about money and that the issue had now been settled. He explained that the decision had taken one and a half months to be made, although Tholal has claimed his dismissal came without warning. Independent institutions such as the EC have come under increasing scrutiny once more following the release of the Commission of National Inquiry’s final report (CNI). This week has seen prominent members of both the Police Integrity Commission (PIC) and the Anti Corruption Commission (ACC) question the ability of their own institutions to fulfil their mandates. Transparency Maldives’ Aiman Rasheed suggested that weak and unassertive institutions must take some of the blame for the events of February 7 and the surrounding political crises. “The independent institutions need to step up their game by standing for and protecting the values for which they were constituted,” said Aiman. Although the EC was not specifically mentioned in the final CNI report, it has been mentioned as an institution in need of strengthening by prominent members of the government. State Minister of Foreign Affairs Dunya Maumoon told the BBC in April that the EC was too weak to withstand the rigours of an early election campaign. This charge was dismissed at the time by EC President Fuad Thawfeeq and, when asked today about the need to strengthen the commission, Sattar was equally confident. “We have a good system but we feel there is always need for improvement and capacity building,” he said. “For any constitutional elections, we will be given two months – we will be able to do it,” said Sattar. When asked the same question, Tholal suggested that the key to strengthening the EC was to change some of the body’s members. Ahmed Tholal has been recommended to the post of Deputy Human Rights Commissioner by a parliamentary review committee. President Mohamed Nasheed recommended Tholal for the post on December 18. Parliament is now expected to vote on the nomination. The review committee reports that Tholal received 87 points for his capability, experience, leadership, integrity and educational qualifications, Haveeru reports. 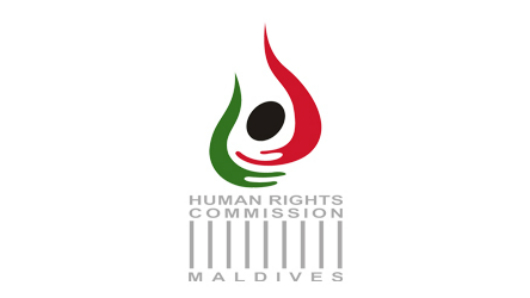 The Human Rights Commission of Maldives (HRCM) has operated without a deputy commissioner for over one year, although one is required by the commission’s charter. The nomination of Jeehan Mahmoud last year was rejected on the grounds that the commission leadership should exhibit a balance of genders following Mariyam Azra’s approval as HRCM President.